Bula! Everyone needs to take some time for a little rest & relaxation. One of our favorite places to relax on vacation is Fiji! Especially if it’s at Namale Resort & Spa. 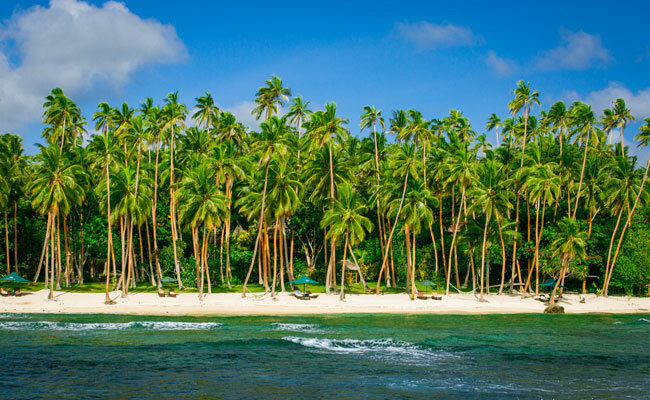 Located on the gorgeous island of Vanua Levu in Fiji, Namale is an all-inclusive resort, surrounded by pristine beaches and breathtaking tropical settings. With unparalleled bliss and every amenity at your fingertips, at Namale, you can connect with nature; the people you love and most of all- connect with yourself. Everything about Namale is luxury and comfort, from the all-inclusive amenities & accommodations to the activities and award-winning spa. With a plethora of accommodations, Namale has many types of bures and one bedroom villas, as well as Bula Houses. – The gorgeous bures (the Fijian word for home) are tucked away amongst lava pinnacles, lush jungle foliage or majestic rain trees; each bure is luxurious and full of charm. Featuring a bedroom, sitting area, bathroom with sliding glass doors that open to a private deck, impeccable design and exotic furnishings, linens, a king size bed and refreshment center where morning tea and coffee can be prepared and enjoyed on your private deck. 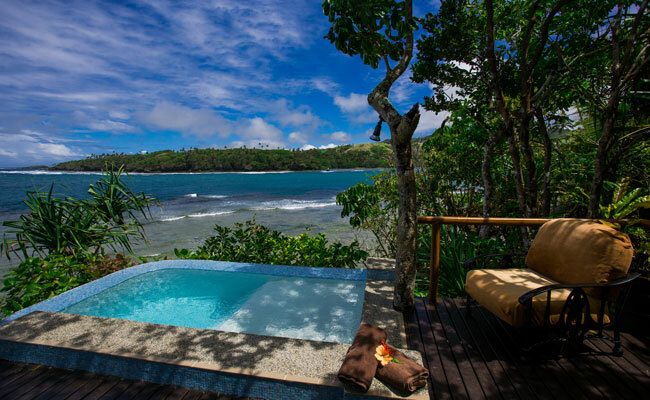 – One Bedroom Villas & Bula Houses are spacious and the ultimate luxury accommodations. You’ll find them situated on volcanic uplifts, rockformations and lava pinnacles. These properties consist of a main house accompanied by a guesthouse and private bures. They are ideal accommodations for large parties, such as wedding parties, corporate retreats and family holidays. At the Spa & Sanctuary, you can feel your stress and troubles melt away. The spa features indulgent treatments inspired by ancient wisdoms and healing traditions. Set on a volcanic cliff near a lush rainforest, this amazing spa is constructed from native palm wood, rock and palm thatch. 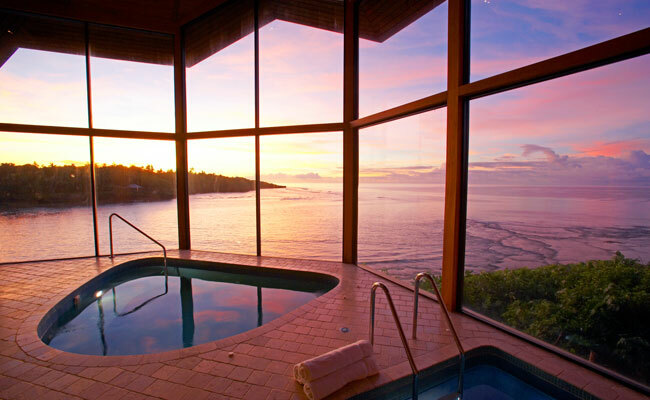 The spa features two treatment rooms, with garden views and two with ocean views; as well as a lounge, foot soak, massage lounge, and a mani/pedi room. You can even take your spa treatment/massage into your private villa OR outside into the lush tropical environment that surrounds you. 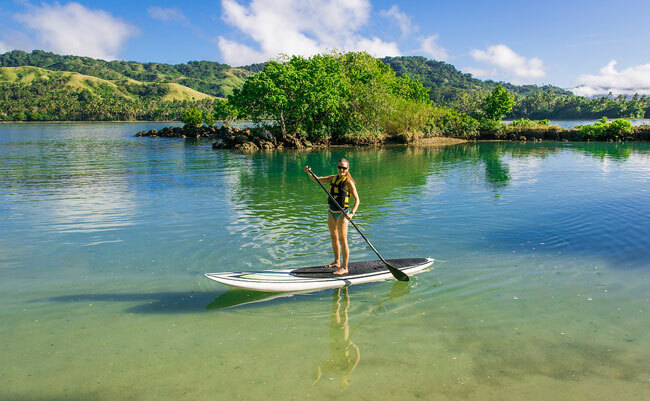 Ready to begin planning your own trip to Namale and the rest of Fiji? Browse our custom Fiji vacation packages, or gives us a call at 888-367-0933 to start planning the adventure of a lifetime!